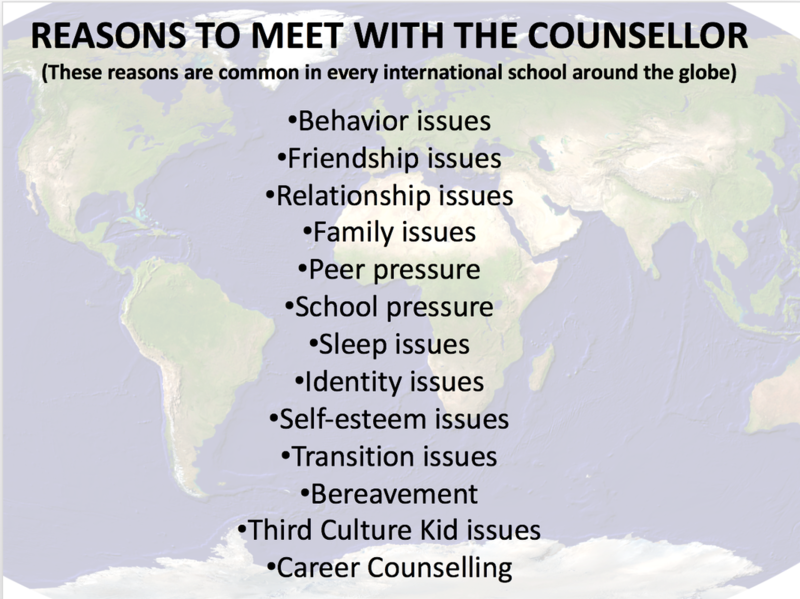 I meet with students for a wide variety of reasons, common to students around the world (see above list of usual topics). 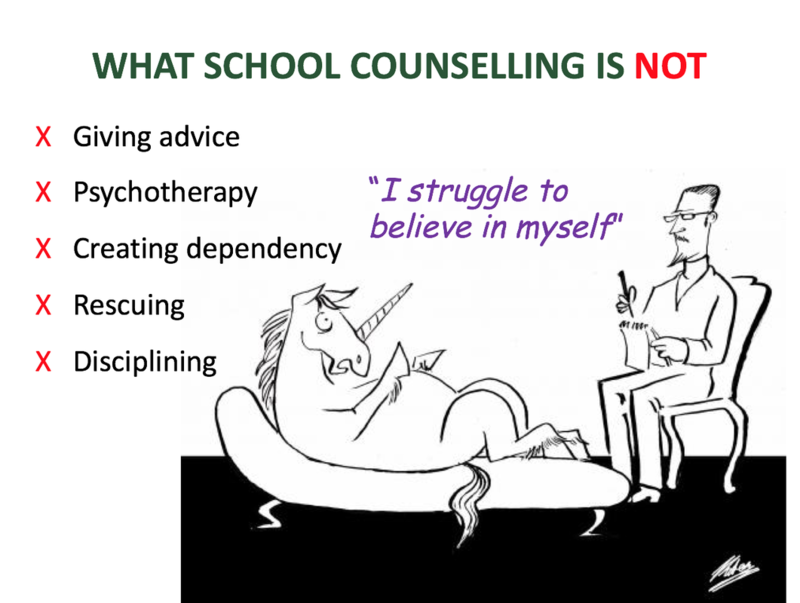 School counselling is not psychotherapy. When I meet with students, we focus on their goal and strategies that could help them achieve that goal. 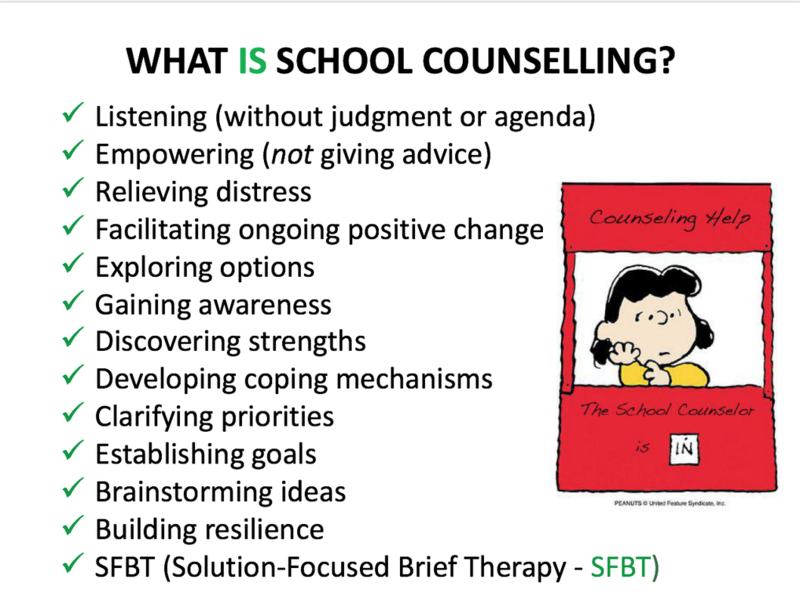 The purpose of school counselling is to help students feel happy so they can do well in school. If you have any concerns about your child's well-being, please feel free to make an appointment with me for a private consultation. 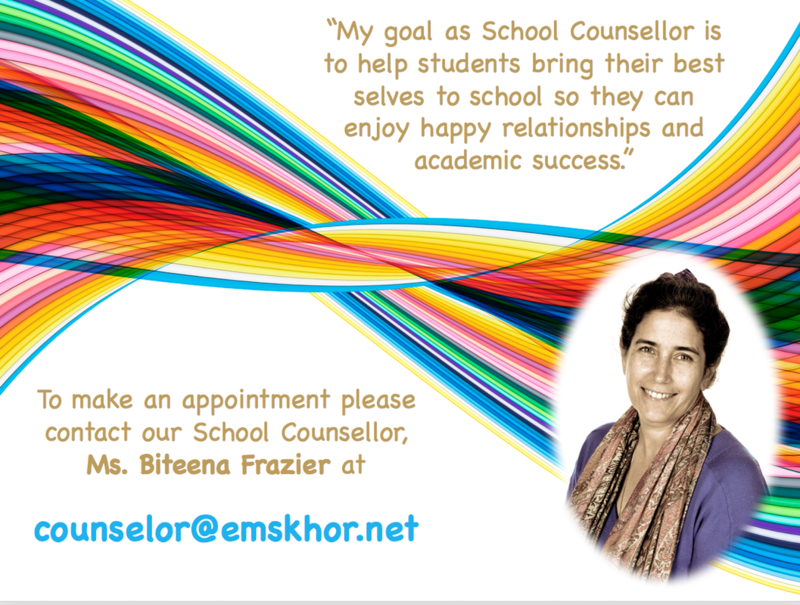 Please fill in this form if you wish to make an appointment with the School Counsellor, Ms. Biteena.